"Cary invented himself, and of course it worked superbly on screen." Showtime has unveiled a trailer for a documentary about acting icon Cary Grant, titled simply Becoming Cary Grant. This doc follows in the footsteps of other fantastic recent documentaries about actors, like Listen to Me Marlon, which also uses audio recordings. Becoming Cary Grant seems to be more about who Cary was in real life, as a real person, not so much his performances or career as an actor. There's an interesting passage in this trailer about using LSD and how it helped (maybe?) him with his own demons. Grant earned two Oscar nominations, but never won before he died in 1986. This looks like a must watch doc for any fans of Grant and his work. See below. Using words from his unpublished autobiography along with newly-discovered personal footage shot with a filmmaker's eye, Cary Grant -- one of Hollywood's greatest stars -- tells his story himself. Exploring his long journey from childhood poverty to global fame, this radically new perspective of a man on a quest to find the love that eluded him most of his life reveals the man behind the mask of subtle charm and suave sophistication. 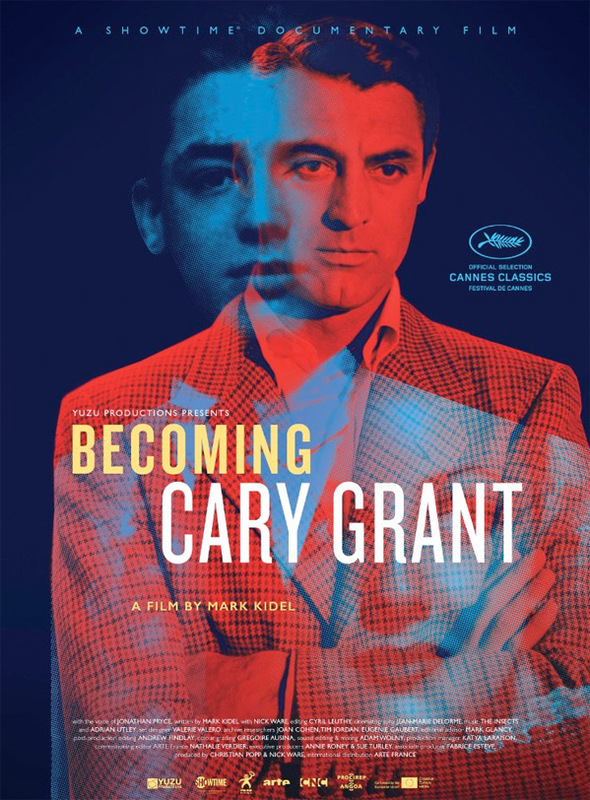 Becoming Cary Grant is directed by filmmaker Mark Kidel, of Set the Piano Stool on Fire and lots of other TV docs previously. This premieres at the Cannes Film Festival this month in the Cannes Classics section. Showtime will then air Becoming Cary Grant starting on June 9th this summer. Curious?